Do dream of a ‘green’ festive season, as your nearest GCA garden centre will have everything in stock to make your dreams a reality, with festive gifting ideas and foolproof plants to smarten up your yard. Japanese sago palm (Cycas revoluta) is a very sculptural palm-like plant growing up to about 1,5m in height. It has dark green feathery leaves shaped in a wide rosette. Evergreen and suitable to full sun or shade, semi-hardy and requires medium to low water usage. Bird of paradise (Strelitzia reginae) is a dense, clump-forming indigenous species with dark green, spear-shaped leaves on sturdy stems. Both the flowers (which appear from autumn and stay throughout the winter months) as well as the leaves are very popular with floral artists. Strelitzias prefer temperate to subtropical climates and have a very low water usage when properly established. 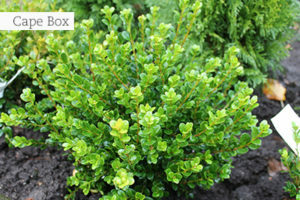 Cape box (Buxus microphylla ‘Faulkner’) is a tough, evergreen shrub. It is compact and upright growing, with a dense coat of oval-shaped, bright green leaves. It can be pruned into any topiary shape and is suitable as a hedging plant (and also as a small festive tree!). Cold hardy and frost resistant, requiring medium water use. Lilyturf (Liriope muscari ‘Evergreen Giant’) has dark green leaves reaching nearly 1m long. This is a lovely accent plant for sun or deep shade, in pots and near the swimming pool. It is semi-hardy and has medium water usage requirements. Dwarf mondo grass (Ophiopogon japonicus ‘Kyoto’) has dark green leaves and is a very compact size (10 x 30cm). It is planted between stepping stones as a softener, and is often used to replace lawns that are battling to grow in the shade. Philodendron ‘Xanadu’ is a compact, quick growing plant with dark green, very serrated leaves. The leaves also have accented veins which have a reddish blush when maturing. Grow in light shade and water regularly. The following annuals of compact size, can be planted in pots, hanging baskets and on the foreground of beds which need a quick little facelift: calibrachoas, alyssum (Lobularia) bedding dahlias, portulaca, lobelias, French marigolds, Celosias, Dianthus chinensis, gazanias and the polka dot plant (Hypoestes phyllostachya) – the latter being a beautiful foliage annual for sun to semi-shade. Mulch deeply around each rose bush to keep the soil cool and moist for as long as possible. Spray preventatively against black spot, insects, and red spider mite before leaving. Move roses in containers into the shade and place on saucers beneath the pots to collect water. Organise for container roses to be watered every second or third day, or attach them to an automatic irrigation system. Spending the holidays at home? Solar garden lights are the way to go, so light up pathways, trees and feature plants the eco-friendly way – easy to use and readily available at GCA garden centres. Or, wrap them up and use them as gift options for friends that have it all! Plants in flower make thoughtful, inexpensive gifts and are always most welcome. Gorgeous pots of seasonal colour can easily be transformed into gifts for grannies, friends, aunties and even teachers. Flowering houseplants like poinsettias and amaryllis are always appreciated, especially if you took time to choose a pretty display pot to put them in. Top edibles to use as gifts are chillies – there is a wide variety available from hot to very hot. One thing to remember is that some of them can reach up to 2m tall and so are not ornamental. Also think about ‘berry delicious’ in the form of strawberries and blueberries. 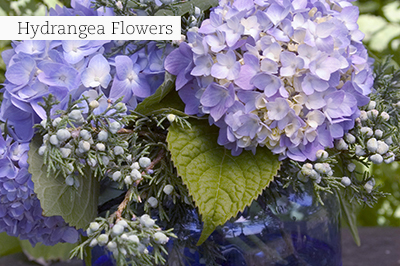 Fill your house with hydrangea flowers (also known as the ‘Christmas Rose’) if you have lots of them in your garden. Pick mature flowers (all the little florets must be open), scrape the bark off the bottom 5cm of the stem and leave them overnight up to their necks in cold water, before arranging them in vases. Termites, mole crickets, ants and lawn caterpillars cause havoc in a lawn. 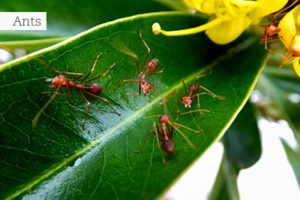 Most of these pests let one know that they are around as they leave signs of their infestation. To detect lawn caterpillars, leave a wet towel overnight on the lawn. If they are there, they will cling to the underside of the towel when you pick it up in the morning. The presence of small, brown moths can also be a sign of caterpillar infestation. There are organic and chemical insecticides and fertilisers infused with an insecticide to combat caterpillars. If you decide to use a water soluble insecticide, do the spraying late afternoon, as these pests are nocturnal and feed at night. 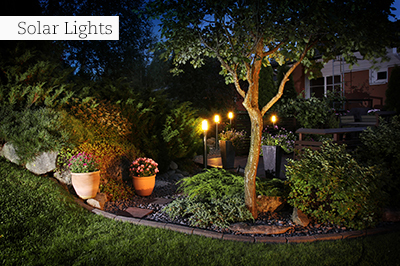 Add a smart touch to flower beds around your entertainment area with edging materials like cobblestones or wooden poles which are available in different lengths and heights. You can also buy galvanised and powder coated edging material which is easy to bend to follow the contours of any flower bed. If it’s not welcoming, add some beautifully planted-up specimen pots at the door. 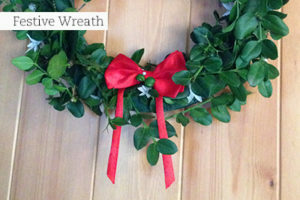 Hammer a lovely festive wreath made from plant material (like Carissa macrocarpa – Big Num Num) out of your garden onto the door, and lay down a welcoming mat – all you need is available at your favourite GCA nursery! Prune all the hedges for neatness, taking care to neaten up below them too, as it can become a hiding place for all kinds of rubbish. If you have a lot of topiary shrubs, give them a light trim and thread some solar powered fairy lights through them for a festive touch. If you do not have an automatic irrigation system, ask a friendly neighbour to water your garden in your absence. To make it easier on the watering soul, attach time switches and hosepipes on all taps. Also leave instructions for the caregiver to stay well within the water restriction rules, if these are still applicable in your area. Group potted plants together in the shade of a tree where they will dry out less quickly and will also be easier to water. 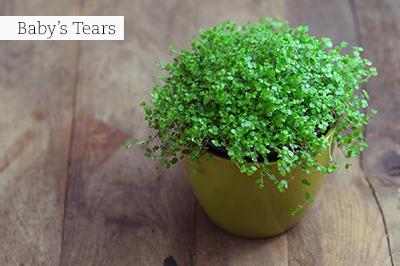 Do not forget to add water retention granules to all your outdoor pots. Water all indoor plants and place them on an old blanket which is wetted down well in the bath. Leave bathroom curtains or blinds open to allow for the most light. 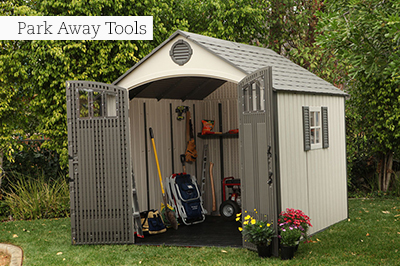 Pack away all garden tools, the wheelbarrow, small pieces of garden furniture and ornaments. 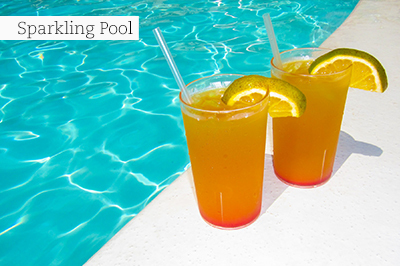 Sparkling pool – start a dedicated programme to get rid of any algae growth and check that the paved surrounds are sturdy and clean. Remove any potential hazards like old pots or thorny plants which can hurt excited kids or interfere with water games. Clean out all ponds and water features. Water lilies and other water plants will be at their best now and are readily available so – invest in some new floating greenery and flowers. To avoid blight on tomatoes and mildew on cucumbers, squash and pumpkins, water them early in the morning to allow the leaves time to dry off before nightfall. Give citrus trees their mid-season feed of granular fertiliser. Spread evenly over the drip line 20-30cm away from stem. Mulch and water well. Planting seed potatoes in December and January will produce a harvest in April and May for storing and eating during winter. Fill quirky containers with garden plants like echeverias, tillandsias, or other succulents and dot them all over the house. Magnificent mandevillas, formerly known as dipladenias, are popular ornamentals producing colourful, trumpet-shaped flowers for prolonged periods. They flower prolifically in temperate and subtropical climates, relishing the heat, rain and humidity. 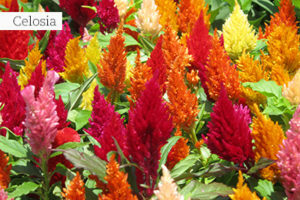 Look out for the latest varieties in nurseries. Weed the garden – after weeding, place a layer of organic mulch over every last inch of soil. Mulching not only saves water and time when you’re busy entertaining family over the festive season, but will also provide a professional and well-cared-for look and will display existing plants to their best advantage. A toast to herbs – pick borage flowers to use as garnish in puddings and punches. Harvest the first chillies to add to marinades, salads and salsas. Pull off the leaves of pineapple sage, lemon verbena, mint, rosemary and rose geranium and steep in a bottle of dry white wine overnight. Strain and add some chilled champagne and lemonade to taste. Drink immediately! Paint peeling and sad looking loungers, garden furniture, the garden shed, picket fences and pots in a new colour. Make new slipcovers for scatter cushions (botanical prints are trending this year!) or splurge on some brand new soft furnishings for your garden. Clean your braai and pack a stack of wood neatly underneath it (even if you’re doing gas or Weber cooking). There is no better way to create atmosphere than with an crackling fire. Dig out dainty ground covers like soleirolia soleirolii (baby’s tears) or Crassula expansa subsp. fragilis from your garden, and plant them into small clay pots to decorate the table and to give away as gifts.